Loss-making Finnish cellphone maker Nokia plans to cut another 10,000 jobs globally in its biggest revamp in recent history, while it warned the second-quarter loss from its cellphone business would be larger than expected. The cuts, which include the closure of Nokia's only plant in Finland, bring total planned job cuts at the group since Stephen Elop took over as chief executive in 2010 to more than 40,000. Nokia said on Thursday that it would book additional restructuring charges of around 1 billion euros ($1.3 billion) by the end of 2013. The company, whose cash position is increasingly scrutinized by investors, also said restructuring-related cash outflows would be around 650 million euros in the remaining three quarters of 2012 and around 600 million in 2013. 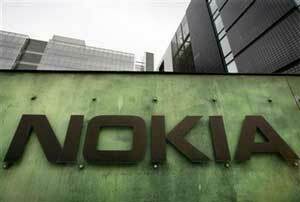 Shares in Nokia fell 9 percent in early trading and were down 6.9 percent at 0711 GMT. Nokia stock has crashed more than 70 percent since it announced in February 2011 that it was dropping its own Symbian smartphone operating software and switching to Microsoft's largely untried Windows Phone system. "These changes underline the seriousness of the challenges Nokia is facing, particularly in light of the eye-watering competition from Apple and Samsung," said Ben Wood, head of research at CCS Insight.